Probate is a court-supervised proceeding where a person’s Last Will and Testament is enforced and administered at the time of death. Since it is a court-supervised process, it can be quite expensive (up to 6% of the estate value) and time-consuming (minimum of 6 months in Arkansas). 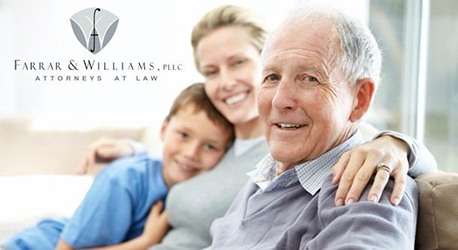 Based on these issues, most seniors attempt to avoid having their estate pass through probate. 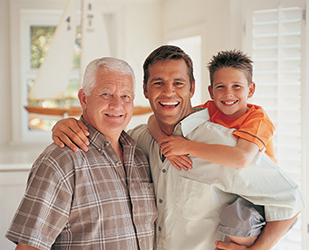 Estate planning often focuses on probate avoidance. This article will focus on some probate avoidance strategies that should be avoided or at least carefully considered. Before addressing strategies to avoid probate that are undesirable, I would like to provide a brief explanation of the best probate avoidance planning, which is the use of a Revocable Living Trust. 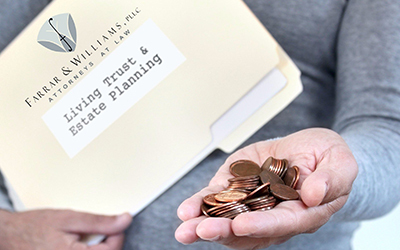 Trusts are the most popular estate planning document primarily because they avoid probate while at the same time thoroughly addressing all issues that can come up in administering an estate at death. A Trust is simply an agreement that not only controls your assets while you are alive (with you serving as your own Trustee and remaining in full control), but also controls the disposition of your assets at death (much like your Will would). Based on the perceived high cost of setting up a Trust, many people attempt to avoid probate by other means, most commonly through joint accounts, payable on death (POD) accounts, and transfer on death (TOD) accounts. Joint accounts are when a child or other beneficiary is named as a joint owner. POD accounts designate a beneficiary(s) at death and are available for most bank accounts. TOD accounts (much like POD accounts) are allowed for most investment accounts. The problem with these planning strategies is that they do not plan for the “what ifs” in life, such as the prior death of a named beneficiary or a beneficiary who has financial or personal problems. They also do not require the payment of your final expenses such as funeral expenses. POD and TOD accounts simply distribute the funds outright to the named beneficiary with no other contingency plans. Joint accounts create an additional risk in that the named joint account owner is an owner of your account, thereby subjecting the assets in said account to their creditor and marital claims. This author strongly discourages the use of joint accounts. If your family needs access to your funds in the event of your incapacity, your estate plan will have a Power of Attorney to allow such access for your benefit. For this reason, there is no need to have a joint account owner (other than your spouse) with a proper estate plan. In my experience, these “shortcut” strategies often have poor results and end up costing more in legal fees to clean up. Further, based on unattended consequences as a result of such strategies, your family may end up in conflict with one another over what your true intentions were. If you or a loved are interested in avoiding probate, I encourage you to discuss the pros and cons of the various strategies with an estate planning attorney.